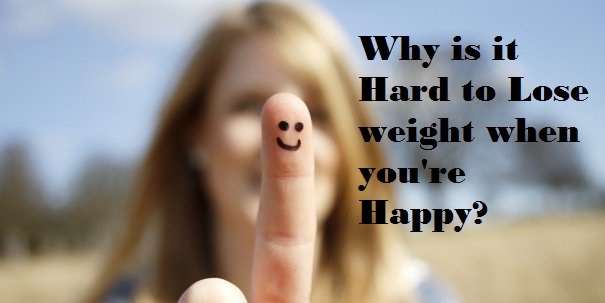 Why is it hard to lose weight even when you’re Happy? – Where's Clair? Why is it hard to lose weight even when you’re Happy? Over the last couple of years I have lost a significant amount of weight in the pursuit of health and happiness. I have finally reached a point in life where I have achieved that. While I am currently still slightly overweight according to my BMI, I am healthy and physically fit. I can keep up with the best of them and my recovery times are on point. I am comfortable with my appearance and my dress size and I feel good in my skin. There is one small thing that is bugging me though and that is, hard as I try, I have been stuck at a particular weight for a number of months. Up a kilo, down a kilo and so it goes. I have been trying to figure out why I can’t get my head around pushing that little bit harder to lose those final few pounds and be officially a healthy weight. 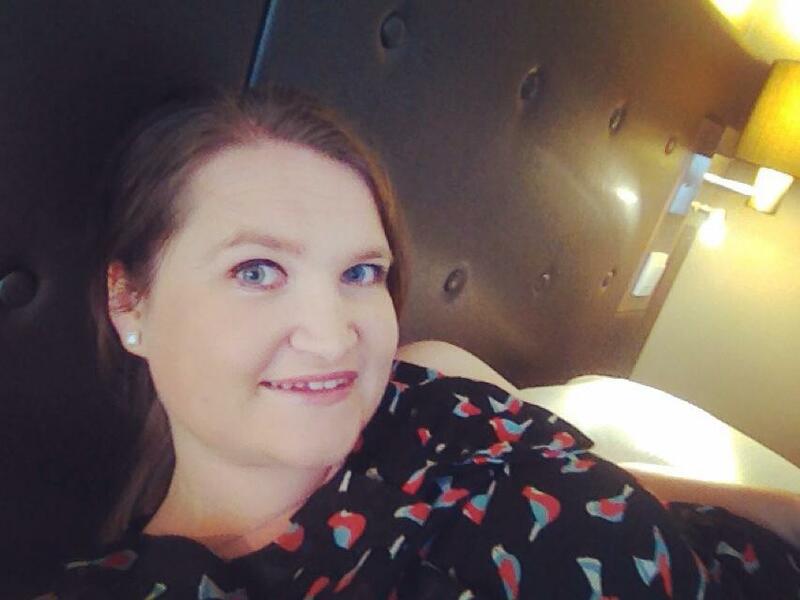 Surely someone like me (with a Masters in Health Psychology!) should be able to train myself into the right way of thinking? In my own reflections I have come up with something pretty unexpected. I’m Happy. Generally we look at happiness and weight loss and assume that happiness is something that is to be gained from looking and feeling better. We assume that the happier we are the easier it will be to make the right choices and that being unhappy is related to weight gain. The thing is, I felt that losing the weight was easier when I was unhappy. I had a much greater desire to change when I disliked my body. I would deprive myself of things, because I desperately wanted to look and feel better. But now that I am happy, here are some of the ways it is harder to continue to lose weight. When I say my motivation is low, I don’t mean in general. I am motivated to do lots of things, work hard, travel, experience new things etc. But my motivation to change is low. 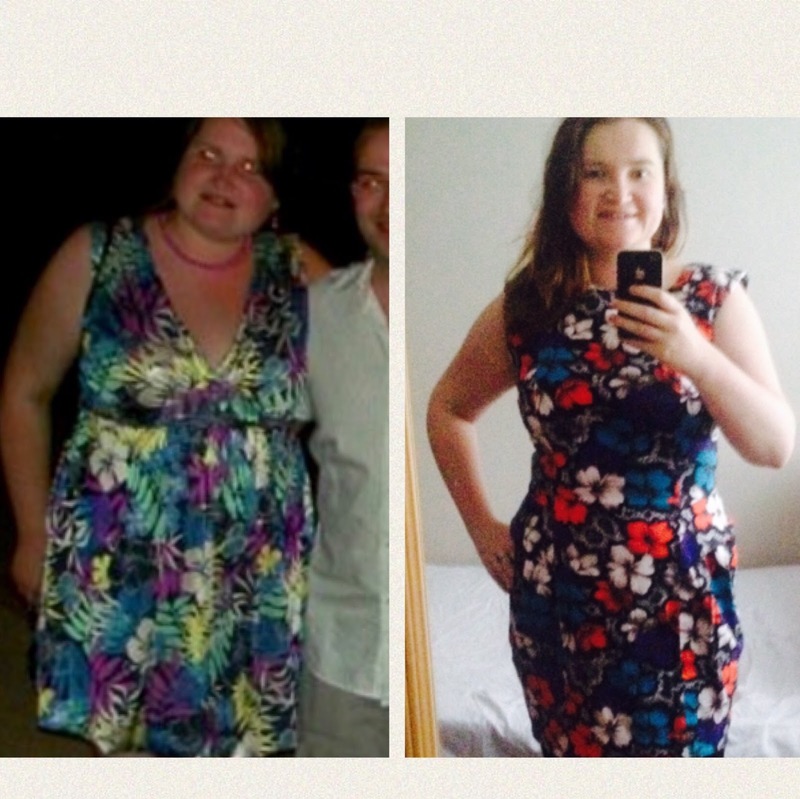 When I was obese (I shudder as I type that word) it was somehow easier to find the motivation to change. It was simple really, I hated the way I looked and how tired I was all of the time. Finding reasons to change this was easy. Now that I am happy with myself, my body my fitness level, my motivation to change the small few bad habits I have left is lacking. I remember one time taking a quiz which told me that I was an emotional eater. I thought – no way! I wasn’t the type of person who would sit at home and binge eat when I felt upset or stressed. There was no way that this profile fit me. As I explored my eating habits further I have discovered that I AM an emotional eater, but I am a positive emotional eater. This may not make sense, but bear with me. I associate food with good emotions. I like to celebrate with food and I particularly like to eat when I travel or do nice things. Food is something that I enjoy and so when I am happy I tend to celebrate more. This means I have a little less control over things when I am happier. One of the things that helped greatly with my levels of happiness is my relationships. I am lucky to have a wonderful family and friends who make me feel good about me. I have a romantic relationship that is solid and fills my life with happiness every day. I feel supported and loved and cared for and to quote Bridget Jones, he likes me “Just as I am”. These things are wonderful but they do contribute to some complacency on my part. The feeling of being accepted as you are is not exactly compatible with a drastic drive to change. So what next? I am searching for a way to find that motivation again. One thing I do know is that while I haven’t lost a lot of weight in recent weeks, my happiness has helped me to maintain a good level of health and fitness so I am working on some goals for myself and I will keep on travelling of course! I suppose there is no good reason why a girl can’t be even Happier is there? Next Orchha – The most amazing place I’d never heard of. At some point you reach a certain weight where losing that next pound is going t take a lot more effort than before. Some people call it plateau, or weight plateau. There are ways to help you lose a little bit more. Be sure you have enough nutrients that help in converting fats and fuels to energy, for example. I am totally in an empathy mode right now. That feeling of low motivation to change? I've been there, and I'm not sure if I'm still in that position. For me, the emotional eater is in the middle and I don't know if it's weird. If I'm happy (which is most of the time, fortunately), I don't really eat that much and same goes if I'm experiencing something negative. But there's a completely neutral feeling of being non-existent or simply not doing anything, that's where I scrambled for pizzas and meat. Its good to be surrounded with loved ones and friends. They surely make our life more meaningful and fruitful. They bring happiness. And most of the time, though I would like to lose weight for instance, I still compromise the wanting to lose weight because I would want to choose happiness instead and happiness means joining them eat, laugh and do silly things.